Revueltos are a class of scrambled egg dishes — elevated with extra virgin olive oil — that are popular throughout Spain as tapas or appetizers. 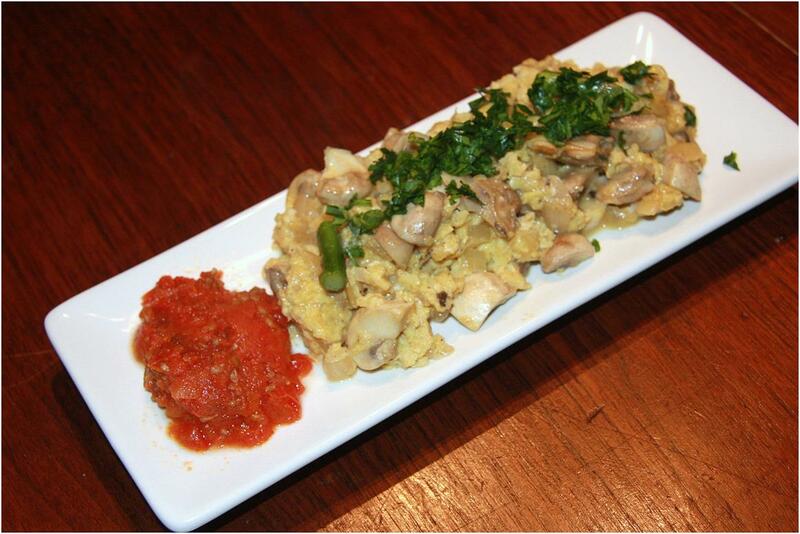 Common pairings with the eggs are seafood, mushrooms (particularly wild mushrooms) and asparagus. We decided to go a little further afield: all the way to Galicia!